Powerful booking software made simple. Easily accept website bookings, phone reservations, in-person bookings, and re-seller orders with Xola’s online booking software. Create or modify call-in and walk-up reservations in 3 clicks or less with an intuitive tour operator software implemented in days, not months. Live professional support 24/7 via phone, email, or chat. Account setup, implementation, and on-site training options are available. How much is your business leaving on the table? Maximize your site's booking potential with a checkout built based on conversion science. Consumers book in less than 30 seconds. No URL redirects, fewer form fields, and a better customer experience. Nearly half of online reservations are made using a smartphone or tablet. Xola's mobile-optimized checkout delivers a beautiful booking experience on every device. Choose how to add online booking capabilities to your website. 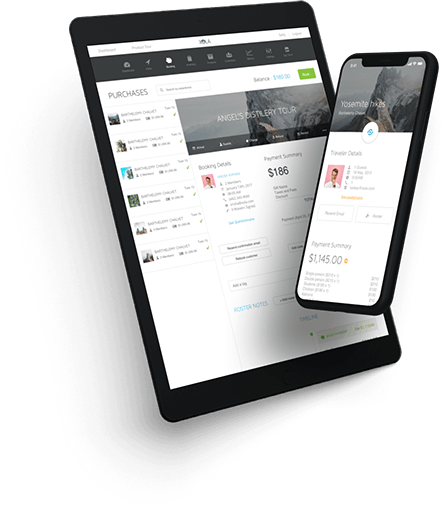 Add Xola's web checkout to your site, or use the Xola Booking Plugin to add a beautiful store front, detailed activity pages, and Xola's web checkout to your WordPress website in seconds. No coding required. 42% of Tour and Activity Booking Revenue Comes in Online. Providing your guests with an option to book online is a must. 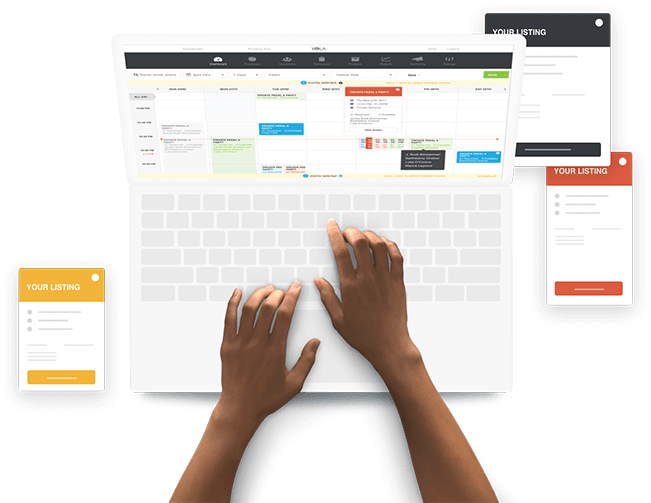 Xola’s online booking software was built based on checkout conversion science with the goal of increasing website bookings and diminishing phone reservations. We do this by only collecting crucial booking information during the checkout process, and following up with fully customizable post-checkout questionnaires to collect everything else. Easily create or modify reservations made in-person, over the phone, or through online channels, such as your site, OTAs, and re-sellers. Accept cash, check, credit, vouchers, gifts, store credit, etc. 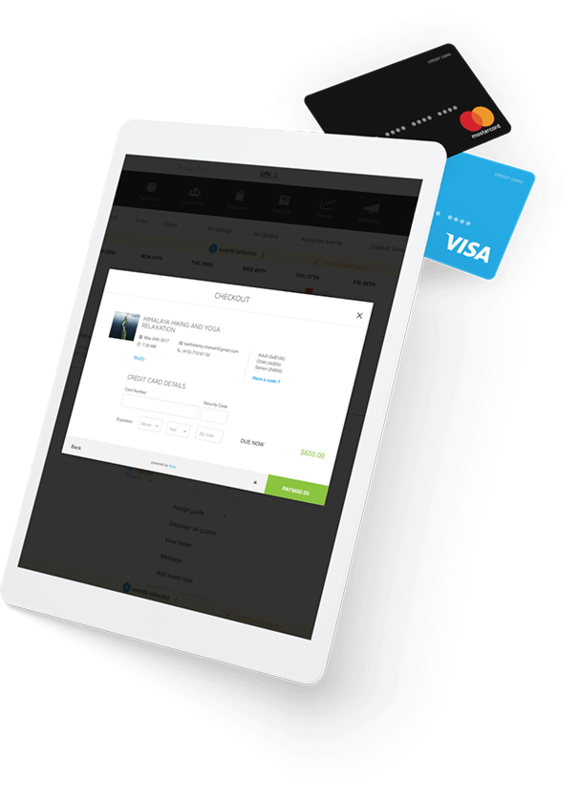 Xola’s Point-of-Sales integration supports swipe-and-pay, cash drawer, and receipt printer hardware, allowing you to seamlessly handle in-person bookings and payments. Choose our plug and play payment processor, or we’ll work with yours. Provide your guest with the flexibility to pay with cash, check, credit card, coupons, gift offers, or store credit. 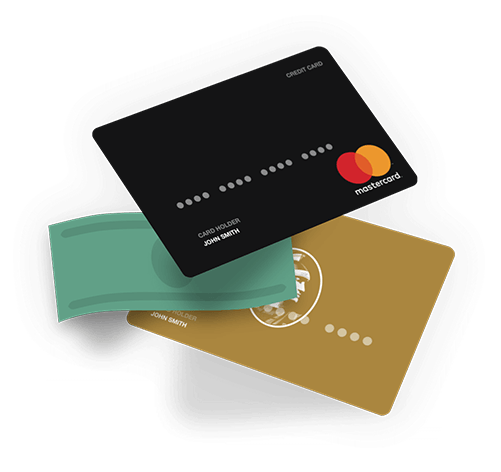 And easily collect deposits, or payments from multiple cards per booking. Run your business anywhere with Xola’s online booking app for tablet or mobile. 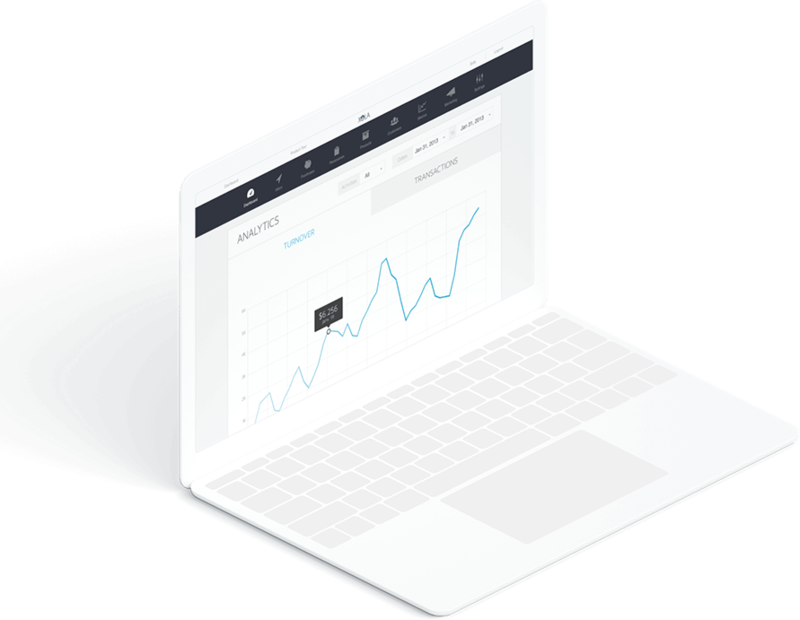 Tie revenue to marketing campaigns and determine ROI with Xola's advanced conversion tracking tools. Track bookings from any platform with Xola’s integrations for Facebook Pixel, Google Analytics Ecommerce, and custom conversion tracking capabilities. More than half of your website visitors who begin to make a booking will leave without completing their purchase. Xola increases the odds that those visitors will return and book with you by automatically remarketing to website visitors that have abandoned their carts. 97% of people read customer reviews prior to making a purchase. Turn happy guests into promoters and rise to the top of the leading customer review sites, including TripAdvisor and Yelp, with Xola’s customizable review request emails sent automatically after every tour. Generate a discount code, or gift offer in seconds. Customize your discounts with advanced restrictions based on activity, seasonality, day of the week, or even the exact time of day. Choose between fixed dollar amounts, or relative discounts based on order value. to demand, weather, or anything else. Create or modify a booking in 3 clicks or less. 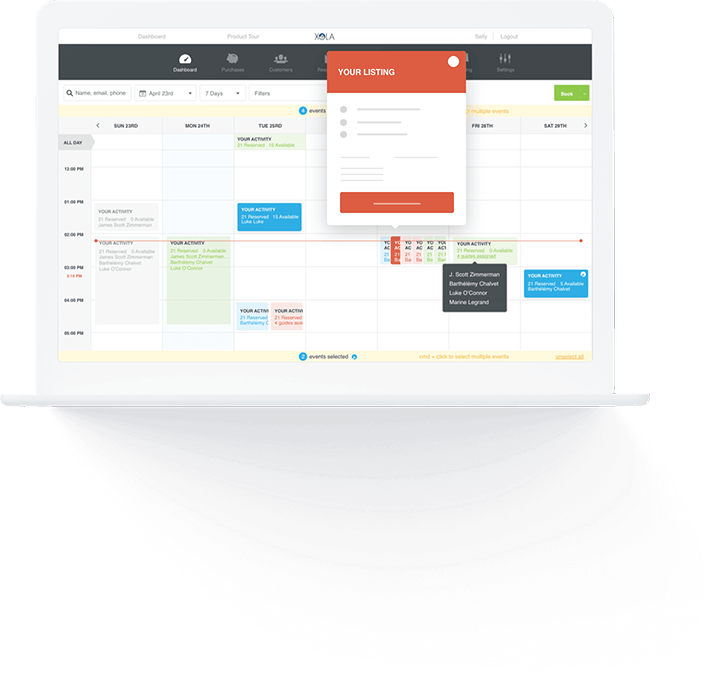 Xola’s intuitive interface means you spend less time managing bookings and training your staff on Xola’s online booking software. 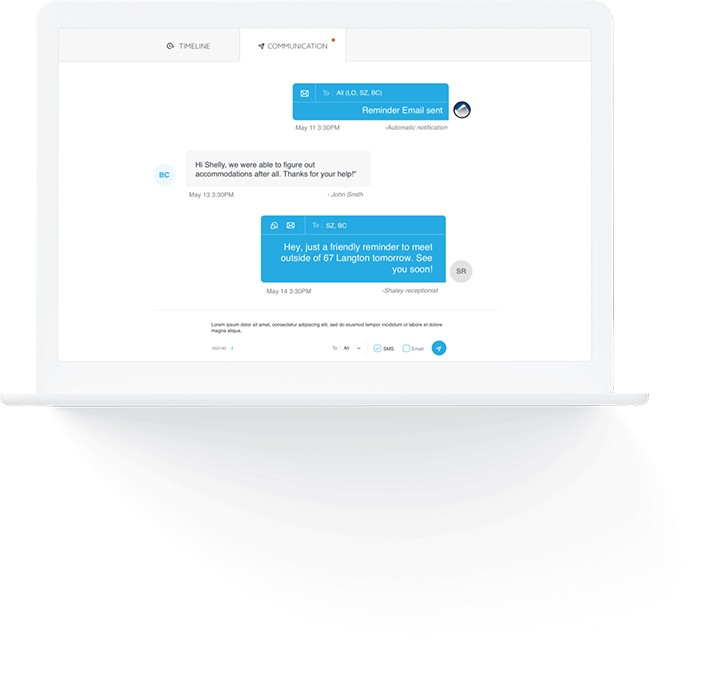 Plus, you’ll never send another booking confirmation, update, or reminder email again with Xola’s automated customer communications. Set up as many custom schedules and pricing variations as you need per experience, and edit them to your heart’s content. Easily set exceptions to your usual schedule, like blacking out dates you know you will not operate, or setting a cut-off time for booking one, some, or all of the experiences you provide. Keep your guides in the loop at every stage by assigning them to outings and automatically emailing trip rosters. Let guides choose how they stay up-to-date with their assigned schedule: calendar sync with their prefered online calendar service, email notifications, or using a limited access user on your Xola account. With eight different types of users accounts, there’s an access level for every role, including guides, reservationists, accountants, admins, and more. Xola’s cloud-based booking software lets multiple users log in at once and make edits in real time. Every booking modification is tied to the user that performed it, so you are never left guessing who did what. tickets that keep the line moving. 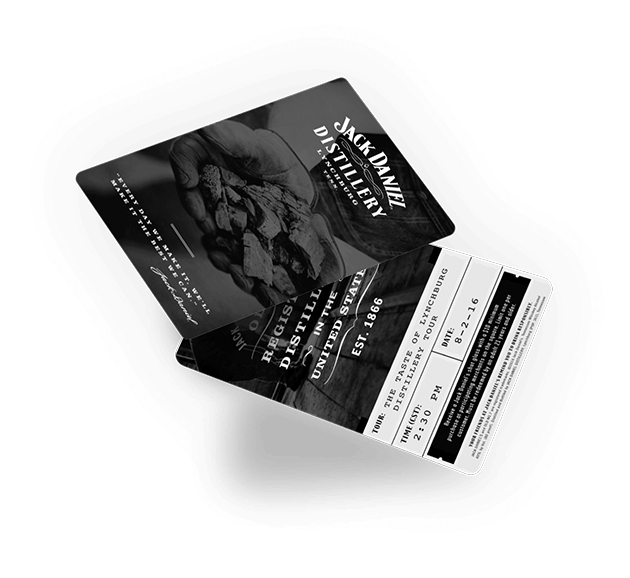 Create lasting memories with beautiful tickets printed on-site. Xola’s tickets are fully customizable, so you can easily match them to your brand identify, specific location, special events, and more. Keep the line moving with Xola’s advanced check-in features, including ticketing, self-serve booking or check-in kiosks, lobby display monitors, and more. Never overbook a tour again. Easily set thresholds when needed. Xola will automatically notify your guests if the minimum required per outing isn’t reached, and won’t let you overbook an experience if you’ve hit the maximum capacity per timeslot. Xola intelligently allocates shared resources based on the number of people that have reserved each experience. Connect your essential equipment to experiences on Xola and you'll never have to worry about accepting bookings you cannot fulfill. Ask custom questions, from age to allergies, with Xola’s post-purchase questionnaires. See customer answers, contact info, booking history, and more all in the tour roster. Easily export the roster, or email it to your guides to keep them in the know. Delight guests before, during, and after the experience. Xola automatically creates in-depth customer accounts from the information captured during the booking process. Easily rebook customers, review their booking history and life time value, and access contact info from one place. Build relationships with personalized customer communications. Automatically send guests pre-tour booking information, updates, and post-tour review requests via email or text message (SMS). Customize your message once and we'll take it from there. Easily export customer information for further engagement using the other marketing or advertising tools you use. Easily create email campaigns, Facebook Lookalike Audiences, Google Similar Audiences, targeted campaigns, and more. See the fruits of your labor and plan for what’s next. Xola automatically tracks every transaction made for each of your offerings, so you can analyze performance over time, across experiences and booking channels. Breakdown transactions, refunds, taxes & fees, income, and more by week, month, year, or anywhere in between. 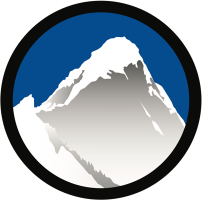 The sky's the limit with Xola’s custom report builder. Easily customize reports to match your specific business and needs. Slice and dice the data based on activity, timeslot, order value, booking source, customer demographics, marketing campaign, and more. Connect the dots between marketing spend and revenue with Xola’s conversion tracking capabilities. From integrations with the leading ad platforms, including Facebook and Google Ads, to custom conversion tracking, we've got it covered. Easily make informed decisions and optimize marketing ROI based on the actual revenue each campaign drives. Manage bookings generated by Expedia, Viator, and other distribution channels within Xola. Ensure bookings made on third-party networks are as streamlined as those made on your own site with Xola’s real-time monitoring of resources and reservations made through every channel. Leverage local business connections and easily partner with concierges, tourist information centers, and other re-sellers. 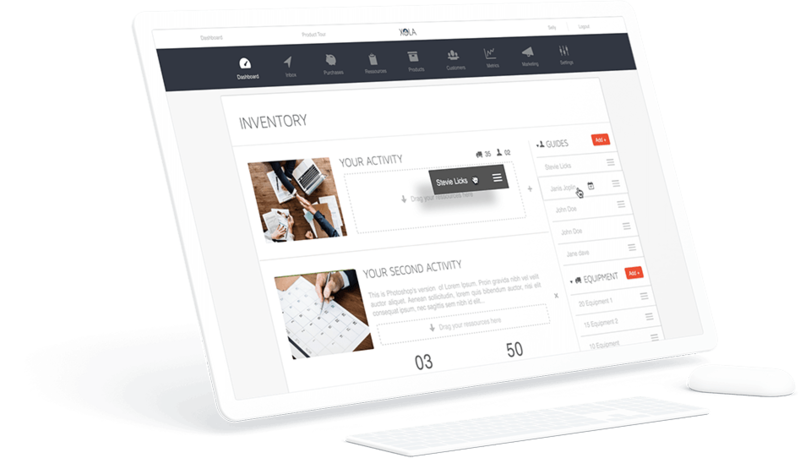 Track the business they send your way, reconcile commissions, and more all within Xola. Everthing you need to grow and manage your business. Connect Xola to the leading business softwares out there and enjoy the best of both worlds. Easily share booking and customer information with the tools you use daily, such as your accounting software, mailer, advertising platforms, web analytics tools, marketing automation software, and more. Robust booking & reservation API with endless possibilities. Easily connect Xola to email marketing software, ad platforms, deal sites, tour distribution networks, and more. Manage all of your bookings in one place, and use the information captured to remarket to customers and target new ones, too. Send booking data from Xola to third-party analytics tools, ad platforms, accounting softwares, and any other business tool you use. Access and analyze booking revenue in Google Analytics, add revenue data to Facebook Ads Manager, and much more. Connect Xola with any external application you choose using Xola’s robust and neatly architected API. 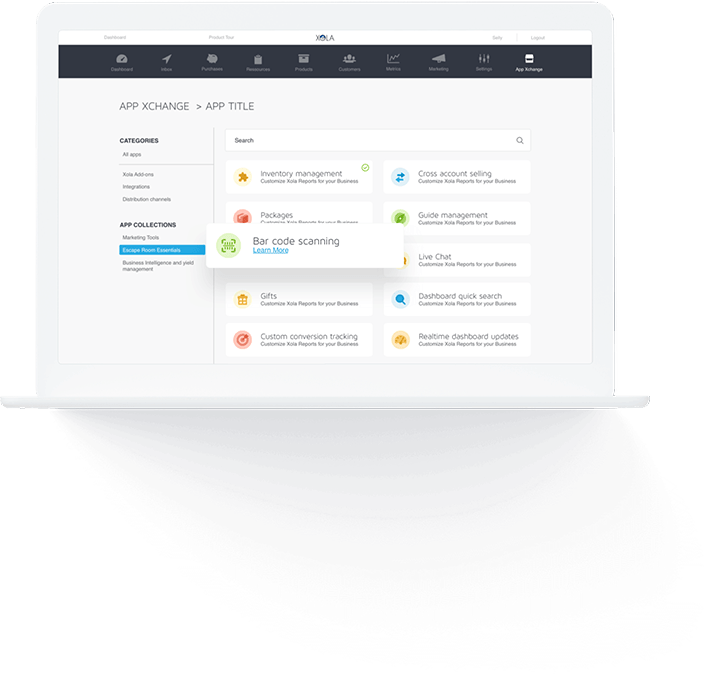 Easily create your own custom application and Xola will share information with it once you set up custom webhooks that fire whenever specified actions occur.